Or rather, a no-orange cake? A sugar free, everything free cake that can be enjoyed my most, with a sneaky veggie addition that no one will pick up on. I have used orange oil instead of whole oranges, to provide those on gut healing regimes a completely sugar free fruity cake! 1 tsp turmeric - Optional - it is for the orange colour to match the orange flavour. 15 drops Twenty8 orange oil - Optional - for a beautiful orange flavour. 1/2 cup of your choice of sweetener, or to taste. I used Lakanto, you could use liquid stevia, honey, rapadura sugar, maple syrup or alike. 1. Preheat your oven to 180 degrees celcius. 2. Place the zucchini and lemon a high powered blender or food processor, and blend until fine. 3. Place the remaining ingredients into the blender, and then continue to blend through all ingredients until well combined. 4. Scoop the mix into a lined a small cake tin or loaf tin with baking paper, and spread out evenly and smooth. 5. Place in your oven and bake for 55-60 minutes, or until a knife comes out clean. 6. Whilst it bakes, prepare your choice of serving like a cream or yogurt, dairy, cashew or macadamia based, though see below for the vanilla cashew cream I served with mine. Please know that this cream is completely optional. 1-2 tbsp of your choice of sweetener, or to taste. I used Lakanto, you could use liquid stevia, honey, rapadura sugar, maple syrup or alike. 1. Strain out the liquid from the cashews. 2. Place all ingredients into a high powered blender and blend until completely smooth and creamy. 3. Taste, and ensure it is delicious and add any more sweet or vanilla if required. 4. 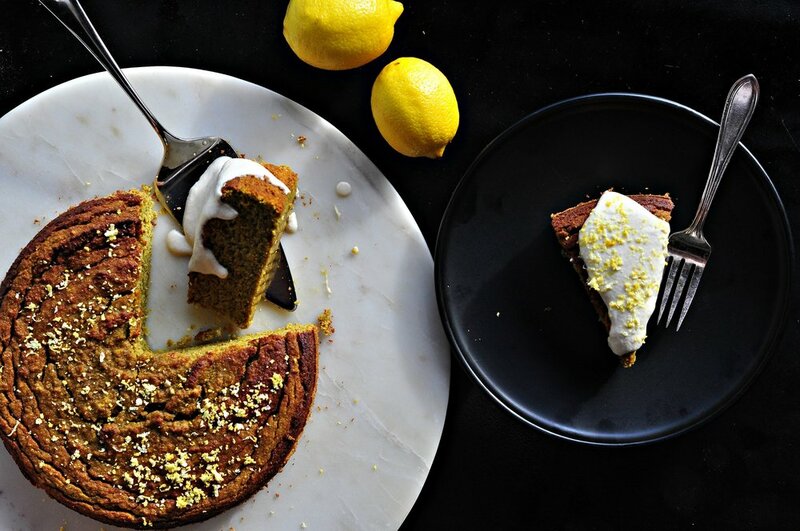 Serve with anything you like, though it goes great with the Sneaky Veg & Zesty Orange Cake.